Are you living in Pakistan or Planning to visit Pakistan? 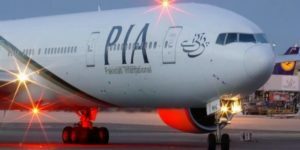 and want to know about Airlines related information in Pakistan then this post is written for you, in Pakistan there are four Pakistani Airlines, Airblue Airline, Pakistan International Airline ( PIA), Shaheen Airline (Suspended) and Serene Air. in which three airlines are operating internationally and domestically both but only Serene Airline is not operating international flights. Also Shaheen Airline is suspended by govt. for dues not paid by them. Pakistan International Airline is the airline which has been manged by govt. of Pakistan itself. Pakistan International Airlines commonly referred by PIA is the national flag carrier of Pakistan. Its main hub is Karachi’s Jinnah International Airport while Allama Iqbal International Airport in Lahore and Islamabad’s New Islamabad International Airport serve as secondary hubs. PIA currently operates to 18 domestic and 25 international destinations in 16 countries across Asia, Europe and North America as of March 2019. Airblue Limited is a private Pakistani airline with its head office in Islamabad Stock Exchange Towers in Islamabad, Pakistan. Airblue operates scheduled domestic and international flights to Oman, Saudi Arabia and the United Arab Emirates. 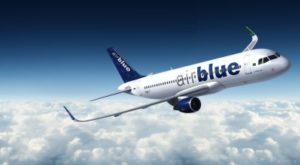 Airblue has been top of the carrier in Pakistan as par revenue and services, its now only private carrier which is operating from Pakistan for international flights as PIA is the national Carrier. 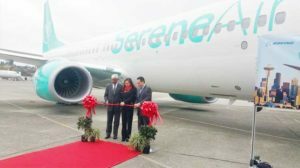 Serene Air is the domestic Pakistani Airline. it is a privately owned Pakistani airline that began operating services in January 2017. It is the third airline to fly domestically in the country after Pakistan International Airlines and Airblue. As all above we have given details of Pakistani airlines available, You can decide yourself which is the best option for you, Every Airline have there own website you can check the timings of airline and ticket prices as well from there. Hope your next journey will be safe and pleasant. MHTT is offering Tickets for all these 3 airlines, you can contact us for your ticket booking.